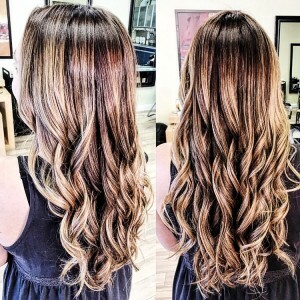 Balayage refers to the process of sweeping color onto hair using a paddle. 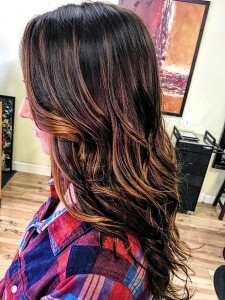 Balayage gives the colorist more freedom to place color where she chooses. 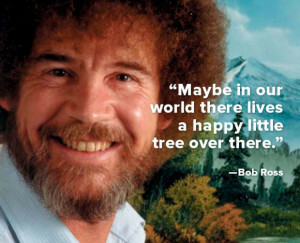 Think of it as Bob Ross for your hair. Our stylists are all over this gorgeous trend. Have a look at Lindsay of Livermore’s autumn transformations. Balayage your way to Fall’s finest look. Color and Style by Lindsay of Livermore. This was our guest’s first time highlights. Lindsay warmed up her base using Aveda’s Demi-permanent line, then balayaged highlights and lowlights throughout her hair for a more natural look. We love warm, caramel tones for fall. Lindsay used Aveda’s permanent and Demi permanent color line (adding a ton of condition and shine to her hair) and a unique hair painting technique to blend all three colors. She followed with Davines’ Nou Nou shampoo and conditioner hair mask, and styled with the Oi Milk. Our guest’s hair came out super soft and shiny. Give us a call to book your next color appointment. We live to serve your inspiration.